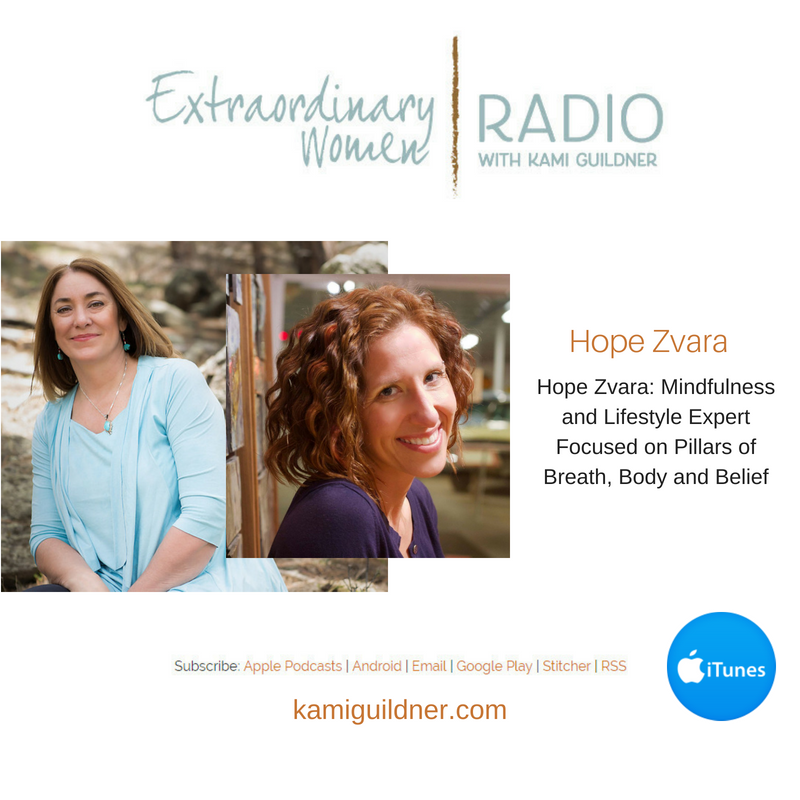 T oday’s Extraordinary Women Radio interview with Hope Zvara, is so good. Hope is a mindfulness and lifestyle expert, a best selling author, and a motivational speaker who empowers individuals with her personal stories. And her stories are powerful. I can promise you – you will be moved. This may be my first podcast interview that I have ended up in tears. Her stories are truly heart touching, and it is within these stories, as Hope shares – that yoga found her – and transformed her life to finding her purpose. The pillars of Hope’s mission are Breath, Body, and Belief. In our interview today, Hope shares her wisdom on how the mind operates, how the body works, and how our beliefs can affect our mental health and our wellness overall – and the success we find in life. I think Hope and I were meant to meet, and in the midst of this interview the idea drops in that we should be planning a retreat together, and I’m just going to say I’m all in! We’re so aligned in so many ways – even our written purpose – which I’ll leave as a surprise to come out in the interview. You can learn more about Hope and her work on her website or follow her on Facebook, Twitter or LinkedIn. So let’s jump and meet the fabulous Hope Zvara!